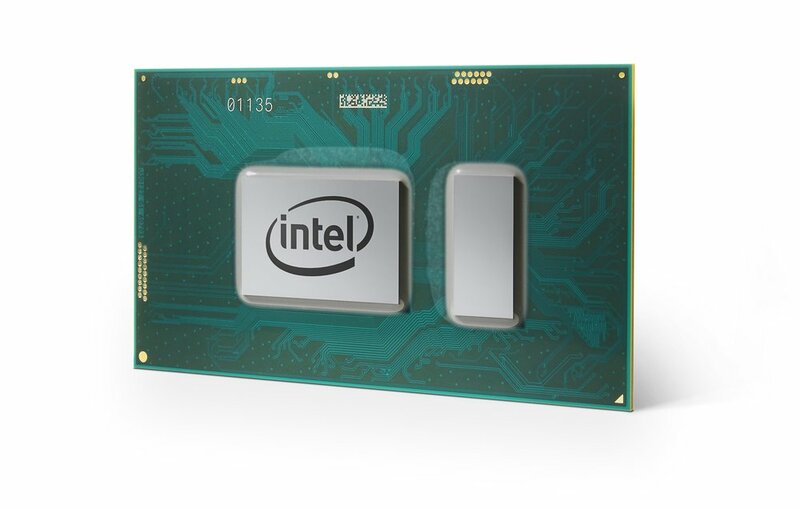 Today Intel announced the beginning of its 8th Generation Core Processor family, the latest update to its line of PC processors that span tablets, notebooks, and desktops. Though the launch today is focused on the lower power consumption parts that are installed in thin and light notebooks, the 8th generation processors will scale out to all areas of the consumer and business markets by January 2018. Intel is taking an aggressive stance with this release, doubling the processor core count from two to four, essentially doubling the amount of computing that each processor will be able to perform in the power restraints of the laptop segment. Because a notebook has to operate with limited power consumption and heat creation to stay inside a standard form factor, balancing performance and power draw is of critical importance. Intel is placing a bet with the 8th Generation Core products that the added processing capability will be used more effectively by software going forward, and that it can offer that capability without sacrificing the vital performance of higher clock rates needed by today’s applications and operating systems. This is a clear reaction and preventative move by the chip giant. When AMD launched the Ryzen processor for the desktop market in Q1, it took Intel by surprise as it had twice the processor core count as Intel’s 7th Generation parts. This enabled AMD to win benchmarks and mindshare with do-it-yourself consumers that also puts pressure on OEMs and system builders to take notice of AMD’s move. Intel has often been accused of sitting on its laurels when it comes to performance, knowing that without competition for the last decade, there was little need to sacrifice margins or invest resources to improve. The emergence of AMD once again has awoken the sleeping giant, and Intel will be making moves to secure its position in the market as a result. The roadmap for AMD has a product called Raven Ridge on it that will target the notebook market with a quad-core processor and high performance integrated graphics processor later this year. Before today’s announcement, Intel was limited to two-core designs for this thin and light market. Preparing for the release from AMD, and doing so in a more aggressive and accelerated time frame, Intel has doubled core count to help maintain performance leadership. AMD will still have the advantage in graphics and gaming, but Intel should be able to offer lower power consumption (which means better battery life) and higher performance systems with the 8th Generation Core Processors. Though the products don’t exactly overlap, this launch today will also shift how the upcoming Qualcomm Snapdragon powered convertible notebooks and laptops will look. Qualcomm will be offering hardware that was near the performance levels of some of Intel’s dual-core processor offerings but it will be behind once the quad-core processors announced today start filtering out into the channel. Intel has been feeling pressure from numerous angles in recent months. While its bid to enter the mobile phone market fell flat, it is now refocusing on enterprise and consumer markets that have fresh competition from AMD (EPYC, Ryzen) and Qualcomm (Snapdragon for Windows 10). Though there has been some discussion about Intel losing sight of it primary function as a company (which is true), there is no doubt in my mind that it has the ability to quickly and nimbly recover and adapt to the change. Margins might shrink as costs go up (larger physical die sizes are required for higher core counts for example) but Intel has been comfortably collecting profits long enough that it should have little problems absorbing the impact. Anyone that is counting Intel out in any processor race today is sorely underestimating the technological advantages it has in key areas CPU development. Also worth noting is that for the first time Intel has changed what the generational designation means for its processors and technology. Previously, a 7th generation part would have been using the same underlying architecture, process node technology, and developers could count on a specific set of features and capabilities. With the 8th Generation Core products, Intel claims to be moving to a “customer centric view” where performance and expectations are at the center of when generations move over. The 8th generation parts announced today are using an architecture codenamed “Kaby Lake” while the desktop processors due out in the fall will use one called “Coffee Lake” with slight changes. The 8th generation will also cross between 14nm and 10nm process technology nodes from Intel’s foundry division.